Last year I spent just over a month traveling through Central America, starting in Belize, and working my way through each country until I reached Panama. There was much that surprised me about this trip and my trip to Honduras was one of them. It is no secret that Honduras has a very dangerous reputation, in San Pedro Sula, the nation has the murder capital of the world and there have been violent struggles throughout the ocutnry for many years. As a result of this reputation, not enough is written about just how spectacular Honduras is, and here are just a few reasons why the record should be put straight. Few people realize that Honduras has islands which jut out from the north and sit in the glorious Caribbean Sea. One of the finest of these islands is Roatan, a natural masterpiece of white sand, transparent waters and lush forestation. There is so much going on in this island for tourists from beach parties, water sports and diving trips, plus accommodation which is perfect for all budgets, all of which feature sea views. In the north of Honduras is the coastal resort of La Ceiba which makes for the perfect stopover on your way to the Caribbean Islands. 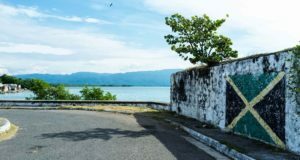 Very much a party town, La Ceiba thrives by the sea and visitors here can make themselves very comfortable in the range of hostels and hotels that Honduras’ third biggest city offers. This gateway to the islands is yet another reason why this country is so underrated. Just south of La Ceiba is the Pico Bonito National Park, a huge park which features mountain and sea within its walls. Running through the heart of the park is the Cangrejal river which offers plenty to tourist who are looking for adventure. Visitors can kayak and raft down the river, go climbing and caving in the gorges or climb high to witness spectacular views of this jungle park. 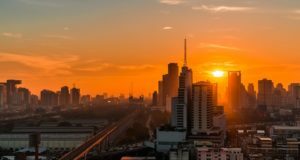 Most people probably wouldn’t put eco-tourism and Honduras in the same sentence but this Central american nation is really ramping up its sustainability. Throughout the north of the country and in national parks such as Pico Bonito, you will find countless eco-lodges and eco-environments as the country trie stop follow in the Costa Rican model. For the eco-friendly traveler, Honduras is somewhere that is right up your street. Honduras is well known in the diving community as being one of the best places to SCUBA in the world. 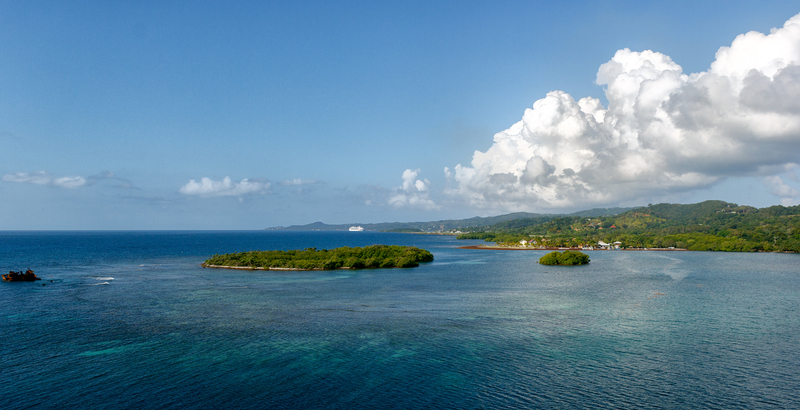 Just off the coast of the island of Roatan, there is hundreds of miles of reef which begins on the islands coast, and drops down up to 100 feet as the coast grows out into the ocean. Ship wrecks, underwater ecosystems, miles upon miles of coral and tranpaurent waters which enable you to see all of this spectacular underwater scenery. Don’t believe the hype, Honduras is a magnificent place to visit and I suggest that you put it on your travel list.